The weather may have been touch and go, but July has proven an awesome month for Capoeira. It kicked off at the start of the month with the annual Cowley Road Carnival. An annual event focused on East Oxford, where our group is based, there are food stalls and music, and a procession in which school groups. community groups, and groups like ours take to the streets to share their passions with the broader Oxford community. 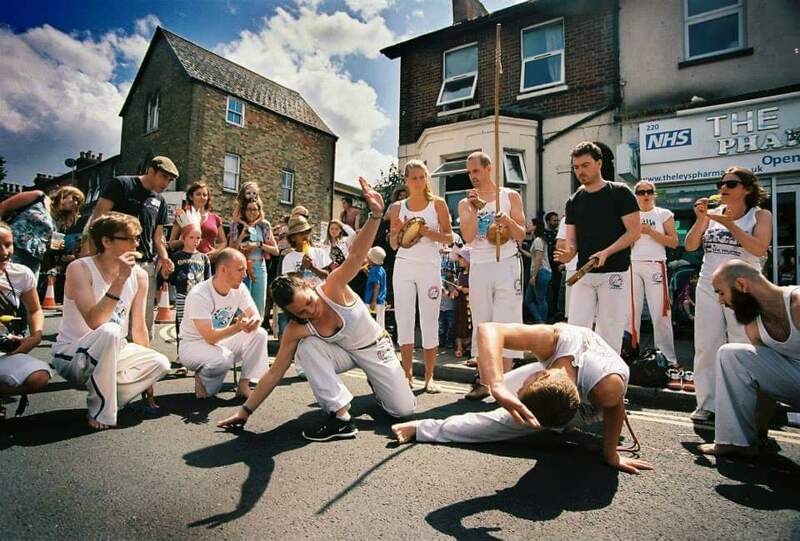 We always go down to the festival and do a street roda, feeding off the atmosphere and raising awareness of capoeira and hopefully gain a few new members. This year was no different – the weather was surprisingly good and the large crowd interested in what we were up to gave great axe to the roda. Its also just a great excuse to spend the day with capoeira friends. We followed this up the next weekend with our own Abolicao summer workshop. Our Mestre Luis Negao came up for the day and brought with him as special guests Contra-Mestre Anjo and Formado Gringo. They both gave amazing workshops, helping us think a little bit more about how we play our game, and of course try a few new floreios. They also brought fantastic axe to the roda – giving us with the kind of rodas where you manage to do things that you never thought you could. The weekend after that we headed to Art in Action, a great little festival near Wheatley where you can see (and buy if you can afford it buy) the work of some great artists, but also observe them doing their art, which is fascinating. As ‘artists’ we did a few little rodas, again with the weather on our side. July has been a gorgeous month, with lots of excuses to play capoeira in the park. Now looking forward to our group trip to Salvador in Brazil in August – sun, sea and capoeira with good friends, what could be better. 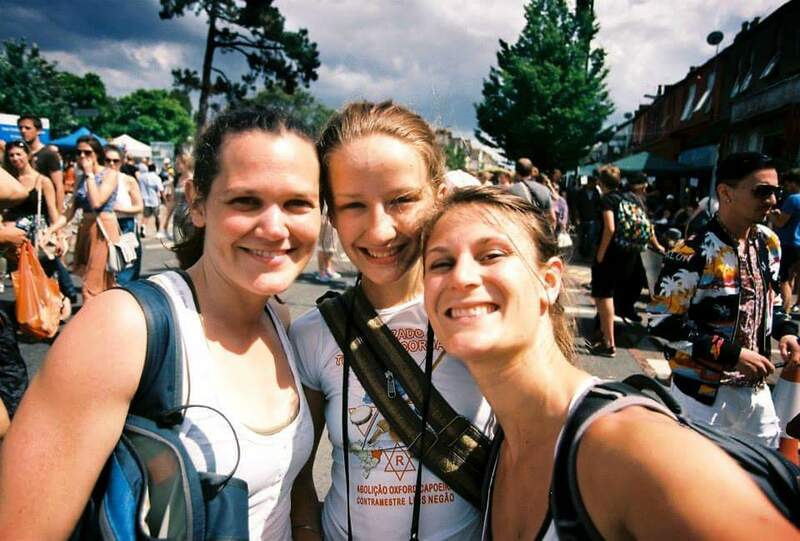 This entry was posted on August 2, 2015 by Jessica Suess in Capoeira.